Treason doth never prosper, what’s the reason? Could there be a greater testimony to the triumph of the heresy of Modernism among the popes, bishops, priests, religious and laity of the Catholic Church than the deafening silence which has marked the 100th anniversary of the encyclical that condemned it? Pope Pius X published the encyclical Pascendi Dominici Gregis on Our Lady’s birthday, 8th September 1907. Until Pope John Paul II came along, no pope had written a longer encyclical. Though Pius X is a saint, sanctity has not been enough to prevent his teaching being relegated to oblivion by the Church’s authorities. The only pope to be canonised by the Church in 450 years is treated as a pariah! You disagree? Dear reader, pick up your copy of the Catechism of the Catholic Church see if you can find there any mention whatsoever of Pope Pius X. What is the essence of the heresy of Modernism? It is the practical denial of the supernatural; the insistence that the assertion of anything beyond the reach of the senses is false; that religion is nothing but self-delusion. The technique of its proponents, exemplified by the appalling theologian Karl Rahner and his counterpart in scripture studies, Raymond E Brown, is that of silence, of not speaking when speech is required; of innuendo, of questioning when forthright proclamation of the central dogmas of the faith is demanded. Modernism introduces into religion the falsity (precipitated by Protestantism) at the heart of all modern philosophy, subjectivism. The end of the heresy is atheism: indeed, the whole tendency of Modernism is to atheism. in breach of almost twenty centuries of tradition and practice, the same Pope allowed women and girls to serve on the Church’s altars. The Second Vatican Council was not evil: no Council of the Church ever is. But because it was dominated by Modernist experts, periti, the considerations of its bishops reflected their influence. Thus, the Council served as a catalyst for the resurgence of the heresy within the Church. Even before they gathered in Rome in October 1962, the bishops of the Church were inundated by the views of these ‘experts’. Their submersion in Modernism was the result of disobedience of those charged with the supervision of Catholic seminaries. 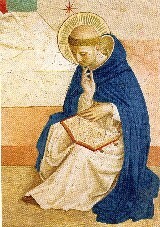 The Church’s 1917 Code of Canon Law and the express directions of successive popes culminating in Pius XII’s Humani Generis (12th August, 1950) required that priests and religious were not to be instructed in any kind of philosophy or theory at all but strictly according to the method, doctrine and principles of St Thomas Aquinas, the Church’s principal philosopher and theologian. These seminary heads disobeyed the Church. Like all heretics, they knew better! For a synopsis of some of the effects of Modernism in the Church over the last forty years we invite you to read the two papers on this website, The Loss of Metaphysics and Failure of the Executive Power. Heresy is in the spiritual order what treason is in the temporal: each is a betrayal of an allegiance owed to lawful authority. In the temporal order the authority is earthly, even if obedience to its lawful commands has the Divine mandate. In the spiritual order, the authority is Divine. If the penalty for treason should be death, what penalty will be demanded for heresy? Of all heresies, Modernism is the worst because it is, as St Pius X teaches, “the synthesis of all heresies”: its end is not just religious distortion but atheism, the explicit hatred and mockery of God. It is not the Church which has erred in respect of this frightful heresy, but the Church’s popes and the bishops. The Church’s members have suffered greatly from the negligence of those that rule the Church. Millions have lost the faith. It is greatly to be regretted that Pope Benedict XVI has not yet seen fit to remedy the failures of his predecessors. Sir John Harington (1561-1612): How ironical that this aphorism should have been penned by a Protestant! Harington’s Godmother was Elizabeth I of England. Quoted in Abbe Daniel Le Roux, Peter, lovest thou me? Instauratio Press, Yarra Junction, Victoria, (Australia) 1989, p. 203, being the English translation of the author’s, Pierre, M’Aimes Tu? Vernet, France, 1988; the translator is not indicated.